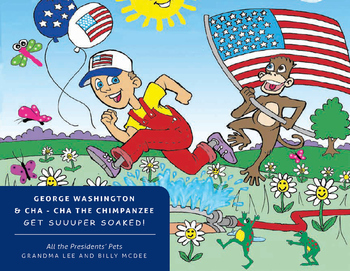 George Washington and Cha - Cha the Chimpanzee Get Super Soaked! George Washington and Cha-Cha the Chimpanzee are BEST FRIENDS. They work hard around the farm but they love to get into MISCHIEF. 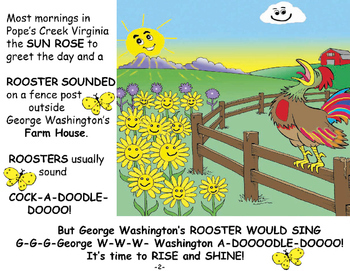 Read ALL about the MISCHIEF George Washington and Cha-Cha get in around the farm. Teachers can use their downloads with any Smartphone, iPad, SmartBoard, Whiteboard, projection system, PC or Mac, allowing you the freedom to enrich lessons with the technology you are using in your classroom. ALL the PRESIDENTS’ PETS are a series of ENTERTAINING books about our Presidents and are Excellent tools for LEARNING! They are Popular with Parents, Teachers and Children BECAUSE they are ENJOYABLE and they WORK! ALL the PRESIDENTS’ PETS fuels your students' CURIOSITY and sparks their IMAGINATION in a FUN and ENJOYABLE way while introducing them at a young age to the NAMES and a FEW FACTS about the GREAT LEADERS who helped build the United States of America. they ADVANCE with their education. 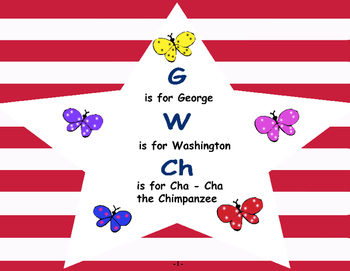 Utilizing George Washington and Cha – Cha the Chimpanzee Get Super Soaked FUN and FRIENDLY Guided Reading Activities you can facilitate the development of your young students’ early reading accomplishments by extending their reading experience success.